NEC NP-1000 LCD Projector. Includes standard NEC zoom lens. 36% lamp life remaining - Lamp will typically last around 2000 hours. NEC: NP2000. NEC: NP1000. A Lamp is a Bulb with the Housing attached. The savings are significant. Beware of others who hide the fact that you are purchasing a bulb only, and not the complete lamp with housing. Trending at $33.19eBay determines this price through a machine learned model of the product's sale prices within the last 90 days. NEC NP1000 LCD Projector. Projector has a very slight yellow tint, and a remaining lamp life of 66%. There is no remote included with this projector. The item works with no issues and it is in mint condition. The lamp has 80% of life left. This projector is perfect for a home theater, school or church. I am getting rid of it because I already have two other projectors. NEC NP1000 LCD Projector Refurbished 3500 ANSI With His Remote control . Refurbished NEC NP1000 in great working condition with lamp life 95% The lamp has been used only for 162 hours This projector is in good cosmetic condition and come with his remote control and power adapter. 4.5 out of 5 stars - NEC NP1000 LCD Projector Refurbished 3500 ANSI With His Remote control . 2 product ratings2 product ratings - NEC NP1000 LCD Projector Refurbished 3500 ANSI With His Remote control . Projector Model: NEC NP1000. The lamp life is at 41 percent. Audio and video quality is good with no distortions and is working as intended. This item has been tested and is in good working condition. NEC: NP1000, NP2000 . -THIS LAMP IS SOLD COMPLETE WITH LAMP HOUSING AND AIR FILTER. 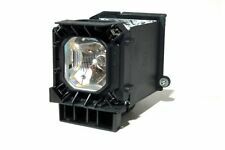 NEW OEM NEC NP01LP Projector Lamp-bulb for NP1000, NP2000. Condition is New. Shipped with USPS Priority Mail. ImagePro 8806. GENUINE OEM NEC NP-01LP. Made by NEC. Full NEC Warranty. Factory Original OEM Lamp. Beware of others who hide the fact that you are purchasing a bulb only, and not the complete lamp with housing. Diamond Lamp For NEC NP1000, NP2000 Projector. Lamp Hours: 2000 hours. Lamp Type: NSH. Manufacturer: NEC. The lamp supplied by the original projector manufacturer, identical to the one installed in the original projector. Original Manufacturers Lamp (OEM). Lamp Hours: 2000 hours. NEC NP2000. NEC NP1000. Complete Generic housing assembly with g enuine factory o riginal Ushio NSH bulb inside ! Factory Original Ushio NSH bulb inside. We are based in USA, California. We have multiple warehouses here in the USA and Taiwan. Product Model #: NP01LP. Product Model # NP01LP. Product Model: NP01LP. Manufacturer Part Number: NP01LP. Manufacturer: Nec Corporation. Lamp Life: 2000 Hour Standard. Lamp Power: 300 W. Lamp Technology: NSH. NEC Projectors Lens for NP1000 NP1150 NP1250 NP2000 NP2250 NP3150 NP3250 NP3151 in great working condition.You are only receiving what is pictured. Located in bin # s1. NEC NP1000 WXGA Projector Main Power Supply RPS-5467 3N100891 rubycon corp.
Used condition, pulled from a working nec np1000, see pictures. NEC NP1000 WXGA Projector Power Supply Board RPS-5467 3N100881 rubycon corp.